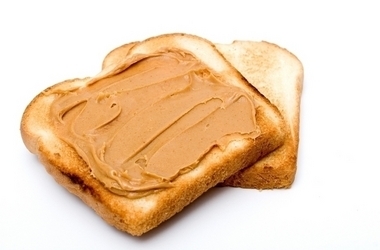 One 8-year-old won a $25,000 scholarship from Jif for creating a sandwich using peanut butter. Can you imagine a sandwich worth $25,000? Eight year old Margalit from North Raleigh did just that. Her Wushu chicken tacos won her $25k in Jif’s Most Creative Peanut Butter Sandwich Contest. Margalit recently traveled to New York to compete against four other finalists in a cook-off. Her competition included a “BLT PB Sweet Style” sandwich, a version of BBQ chicken and waffles, a peanut-butter rolled up sandwich served on pumpkin waffles and a pita style sandwich filled with curried, mango-chutney chicken. The one thing all these unique recipes have in common – peanut butter. According to the official contest rules each recipe submitted had to contain, and clearly state in the ingredients, at least two tablespoons of Jif peanut butter of any variety (Creamy, Crunchy, Honey, etc.). The four remaining finalists were awarded a $2,500 scholarship. Have you checked your scholarship matches recently? See them now. The contest, open to legal residents of the U.S. age 6-12, started in 2003 and has since had eight confirmed winners. To see the official contest rules and list of past winners and their winning sandwiches visit http://promotions.jif.com.